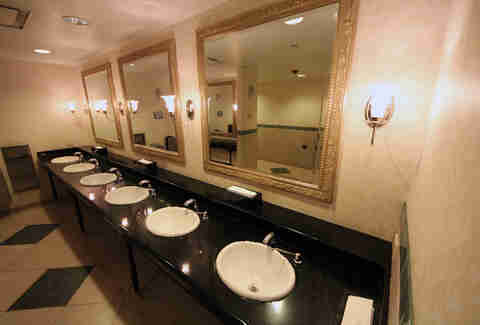 Being caught Downtown with a touchy belly and no lay of the land for public restrooms can be an Armageddon-level crisis. So we turned to Zack Shornick, who runs the blog Hotels I've Pooped In, to recommend his top 10 spots – hotels with discreet and peaceful toilets – to go number two in. 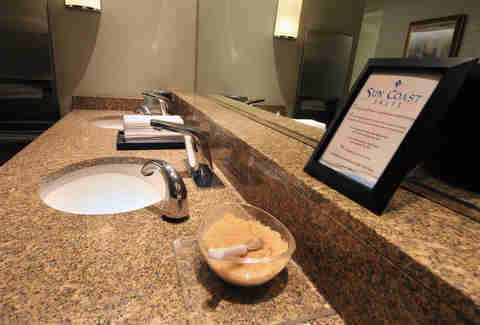 “You may think chain hotels aren't known for luxury, but they definitely put some thought into this restroom. 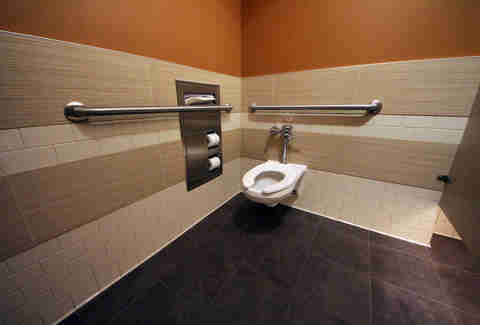 The stall is spacious and the faux zebrawood flooring hides dirt well, a pro-move for any experienced franchise. You'll easily be able to pit-stop here on a Skydeck date with her being none-the-wiser." 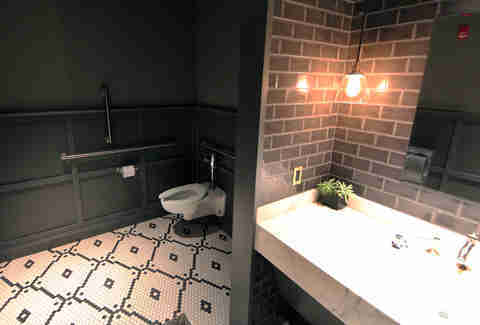 "The facilities are far enough from the lobby to secure privacy, and the atmosphere, though leaning on the utilitarian side, is a well-melted pot of industrial DIY-chic: stainless steel, indie dance beats, and your Grandmother’s eggplant-colored bathroom tile. It sounds counterintuitive, but the narrow stalls work to the bathroom's benefit, like a sensory deprivation chamber that allows you to meditate and release all of your tensions." "This spot is an incredible place to have in your back pocket. 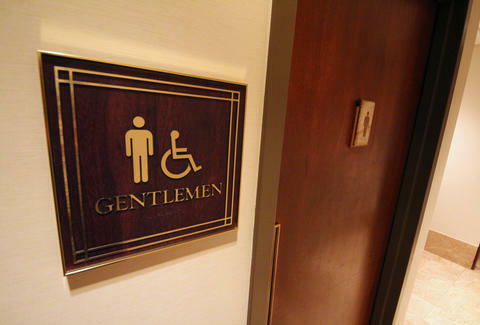 Not only is it central to so much of the Loop’s offerings, but the lobby and bathroom are also both so large that it's incredibly easy to go in -- and out -- completely unnoticed. The facility itself is clean and brightly lit, yet also warm. A dry floral scent hugs you in, and the tile-work and damasked walls are calming and reserved, yet ornate – like a Grecian bath." 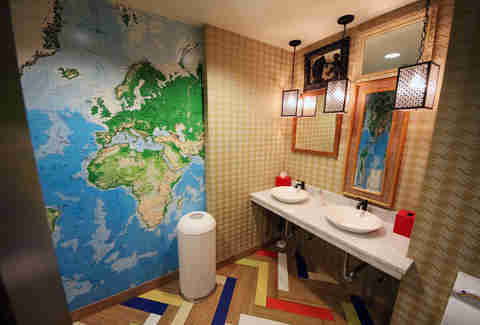 "Doing your business in this bathroom is like doing your business in a 1950s toy trunk, and I mean that in the best possible way! An overwhelming feeling of childhood nostalgia will overtake you as soon as you enter. The chevron flooring is littered with Crayola colors, and the oversized, gold houndstooth wallpaper is just like the lining in your Grandfather’s old topcoat. It’s just a fun room to be in. And when you start to hear Dave Matthews’ "Too Much" linger in from the lobby, you’ll know where you were meant to be." 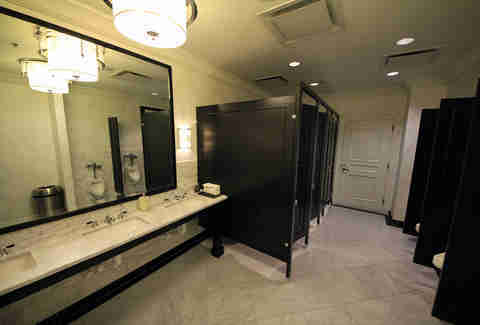 "The Allerton Hotel is a 1920s city landmark, and its small bathroom would kiiiinda be the perfect setting for a secret gentleman’s lounge. You will enter in awe of wall-to-wall cherrywood and white marble. A solid rhythm section whispering into your ears, you’ll wish to yourself, "If only I had a Glenlivet with a splash". It’s private, it’s classy, and you’ll feel like a pooping Don Draper." "The Conrad is a swanky hotel, but it's far enough from main shopping and bars in the area that its lavish lobby and spotless bathroom are a welcoming quiet comfort. Like a little oasis, the bathroom is a mini-spa featuring salt scrub for your hands, beach-shutter doors, sand-speckled granite, and a lovely orchid in the vanity's corner. 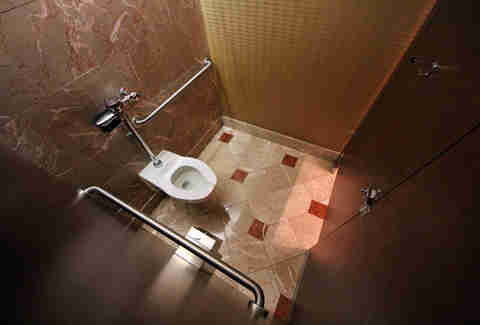 The plumbing is very powerful too, so beware: you may feel a rumble in your seat." "Ever wonder how Leonardo DiCaprio’s characters feel when pooping in those Baz Luhrmann films? The Blackstone’s décor is from a marvelously stylized noir, and it tunnels down into this nearly unused facility in the lower lobby. A dramatic molding crowns over a sea of black and white marble, ebony wood walls, and a light quatrefoil wallpaper while melodies of a Pitchfork playlist call out softly from the unseen distance. It’s easy to sink into this surrounding, but don’t get carried away – the overhead lights are on a motion sensor and you might get left in the dark." 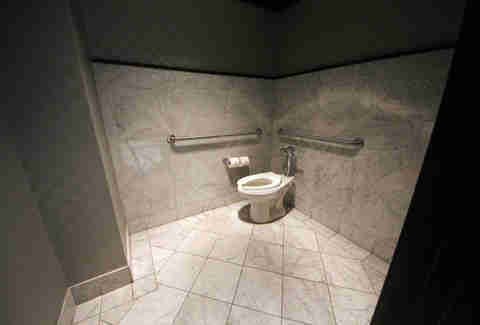 Get more of Zack Shornick’s bathroom recommendations on Tumblr - Hotels I've Pooped In - and Twitter @HotelsIPoopedIn. 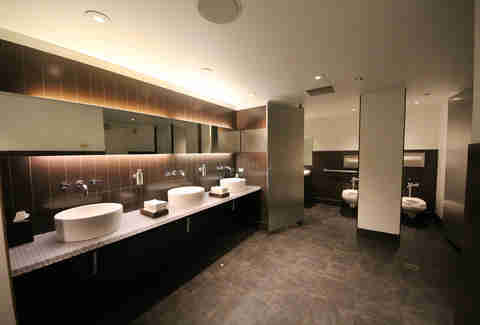 Sean Cooley is Thrillist's Chicago Editor, and he miraculously photographed each bathroom without anyone walking in. Follow him @SeanCooley.